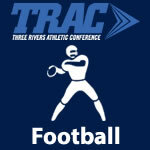 2018 Football – TRAC Sports – The Official website of the Three Rivers Athletic Conference. The TRAC was represented by multiple student athletes on the 2018 OPSWA All-Ohio Football Teams. Quarterback: Riley Keller, Whitmer, 6-2, 210, jr. Offensive Lineman: Chris Redway, Whitmer, 5-11, 280, sr. Defensive Lineman: Cavon Butler, Whitmer, 6-3, 285, sr. Wide Receiver: Adam Gilbert, Findlay, 6-0, 178, sr. Wide Receiver: Dimitri Mitsopoulos, Toledo St. John’s, 5-10, 170, jr. Defensive Lineman: Ja’Kobe Crowell, Toledo Central Catholic, 5-11, 210, jr. Defensive Lineman: Dontrez Brown, Fremont Ross, 6-2, 269, jr. Defensive Back: Alfred Dailey, Toledo Central Catholic, 6-1, 190, sr.
Quarterback: Brady Lichtenburg, Toledo St. John’s, 6-1, 170, so. Wide Receiver: Jase Bowen, Toledo Central Catholic, 6-1, 190, sr. Offensive Lineman: Vinnie Klempner, Toledo Central Catholic, 6-3, 280, sr.
Linebacker: Justin Schiets, Toledo Central Catholic, 6-1, 220, sr.
Running Back: Malachi Wise, Toledo St. Francis, 6-0, 205, sr.
Central Catholic is ranked in the Final Weekly 2018 Ohio AP State Football Poll. Central Catholic is ranked 2nd in Division II in the Final Weekly 2018 Ohio AP State Football Poll. By npohlman|2018-11-08T23:26:34-04:00October 29th, 2018|Central Catholic Fighting Irish, Football, Scores|Comments Off on Central Catholic is ranked in the Final Weekly 2018 Ohio AP State Football Poll. The final weekly OHSAA Football Computer Rankings were released and 3 TRAC schools are in the top 8 in their region and moving on to the playoffs. The 5th weekly OHSAA Football Computer Rankings were released and 3 TRAC schools are in the top 8 in their region. Central Catholic is ranked in the 7th Weekly 2018 Ohio AP State Football Poll. Central Catholic is ranked 2nd in Division II in the 7th Weekly 2018 Ohio AP State Football Poll. By npohlman|2018-10-24T22:42:43-04:00October 24th, 2018|Central Catholic Fighting Irish, Football, Scores, TRAC|Comments Off on Central Catholic is ranked in the 7th Weekly 2018 Ohio AP State Football Poll. The 4th weekly OHSAA Football Computer Rankings were released and 3 TRAC schools are in the top 8 in their region. Central Catholic is ranked in the 6th Weekly 2018 Ohio AP State Football Poll. Central Catholic is ranked 2nd in Division II in the 6th Weekly 2018 Ohio AP State Football Poll. By npohlman|2018-10-18T08:33:24-04:00October 17th, 2018|Central Catholic Fighting Irish, Football, Scores, TRAC|Comments Off on Central Catholic is ranked in the 6th Weekly 2018 Ohio AP State Football Poll. The 3rd weekly OHSAA Football Computer Rankings were released and 3 TRAC schools are in the top 8 in their region. Central Catholic is ranked in the 5th Weekly 2018 Ohio AP State Football Poll. Central Catholic is ranked 2nd in Division II in the 5th Weekly 2018 Ohio AP State Football Poll. By npohlman|2018-10-10T22:31:44-04:00October 10th, 2018|Central Catholic Fighting Irish, Football, Scores, TRAC|Comments Off on Central Catholic is ranked in the 5th Weekly 2018 Ohio AP State Football Poll. The 2nd weekly OHSAA Football Computer Rankings were released and 3 TRAC schools are in the top 8 in their region. Central Catholic is ranked in the 4th Weekly 2018 Ohio AP State Football Poll. Central Catholic is ranked 2nd in Division II in the 4th Weekly 2018 Ohio AP State Football Poll. By npohlman|2018-10-03T23:32:40-04:00October 3rd, 2018|Central Catholic Fighting Irish, Football, Scores, TRAC|Comments Off on Central Catholic is ranked in the 4th Weekly 2018 Ohio AP State Football Poll. 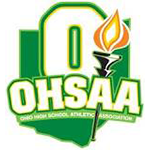 The 1st weekly OHSAA Football Computer Rankings were released and 3 TRAC schools are in the top 8 in their region. Central Catholic is ranked in the 3rd Weekly 2018 Ohio AP State Football Poll. Central Catholic is ranked 2nd in Division II in the 3rd Weekly 2018 Ohio AP State Football Poll. By npohlman|2018-09-26T19:53:28-04:00September 25th, 2018|Central Catholic Fighting Irish, Football, Scores, TRAC|Comments Off on Central Catholic is ranked in the 3rd Weekly 2018 Ohio AP State Football Poll.